Golden Pouring Medium Gloss 16 oz./473 ml. For glossy pours. 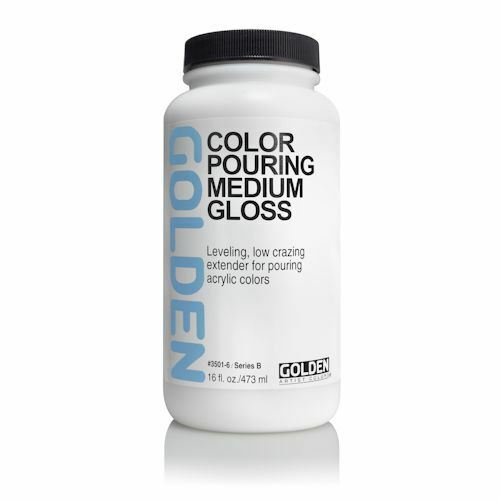 In addition to extending colurs for pouring this versitile medium is useful for improving adhesion to chalky surfaces like plaster or weathered paint.